Incredible find; first owner and low mileage. 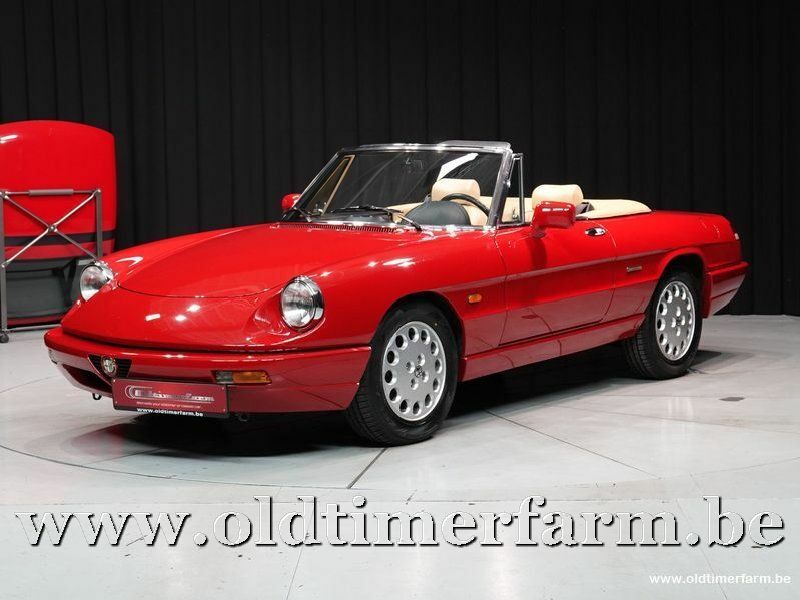 Apart from the fact that the Spider 4 is the best of all classic Alfa Spiders, it only has 24750 kilometers on the odometer. In addition to the usual accessories such as injection, alloy wheels and Alcantara seats, this car also has a servo steering wheel. The car is equipped with an original red 'special factory design' hardtop. An exceptional opportunity at a reasonable price! 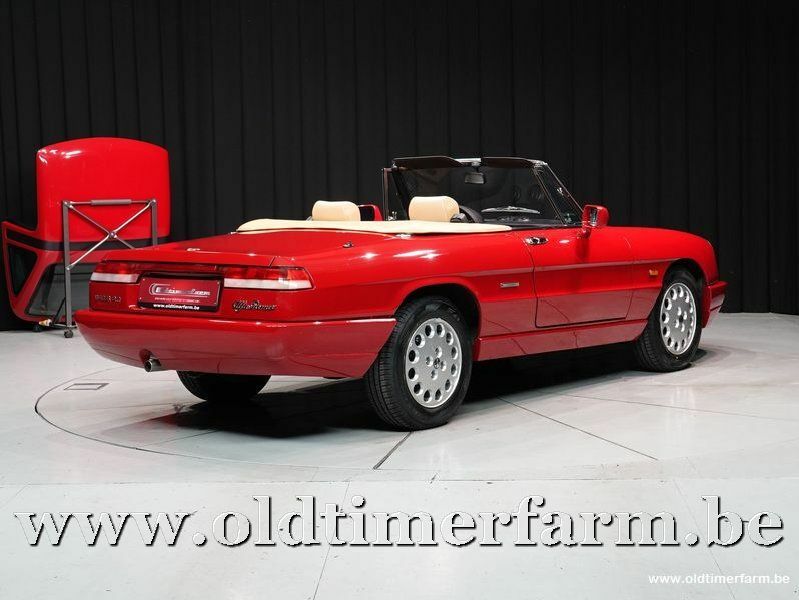 The Alfa Romeo Spider (105/115 series) was a roadster produced from 1966 to 1993—with small run of 1994 models for the North American market.] The Spider remained in production for almost three decades with only minor aesthetic and mechanical changes. The first three series were assembled by Pininfarina in Grugliasco and the fourth series in San Giorgio Genovese. The last Spider was produced in April 1993—the last rear wheel drive Alfa Romeo before the 8C Competizione in 2007.